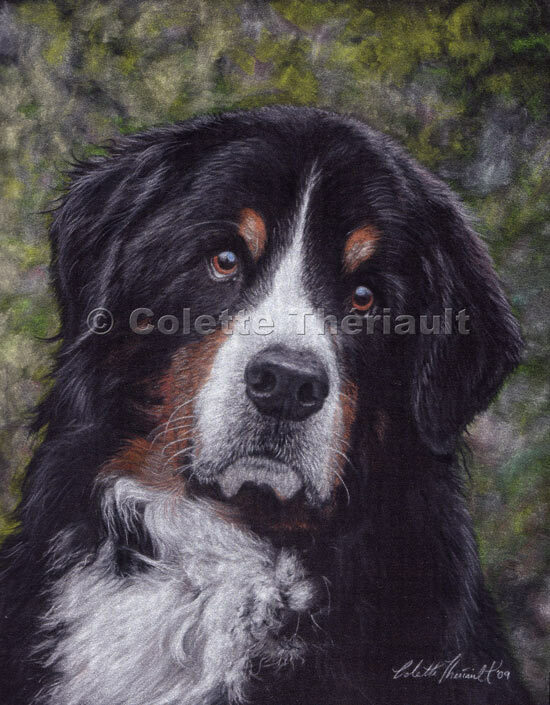 This dog portrait was commissioned as a Christmas for Mr. Smith's wife. Lucas, a proud AKC Champion, is now 12 year old and shares his home with three other Bernese Mountain dogs. He is described by his owner as being a "velcro" dog as he follows his master everywhere, and his gentle and calm demeanor helps settle the rest of the pack.